We are P J Dallat & Sons, independent family funeral directors since 1891. We are a fourth generation family business with over 100 years experience in conducting dignified and personal funerals. We combine old fashioned ideas of care, quality and service with a modern approach, responsive to the needs of today. We are a customer focused company, with a solid reputation built on years of proven reliability, customer service, quality and value. Our family business was founded in 1891 by Peter Dallat and his brother Neal, the grandfather of the present head of the firm, Peter (Joseph) Dallat. Peter J’s great grandfather Charles was a carpenter and joiner and would have made coffins as required. His sons, as was the custom at the time, also became apprenticed in joinery. Peter Dallat, conducted many funerals for poor people for which he never received a penny. He believed that it was his duty to ensure a good Christian burial for people who could not afford one. He worked in the business and still made coffins well into his 80′s. Upon his death in 1958, Patrick, his son, took over the funeral business. Patrick travelled to Belfast twice a week to attend classes to become a qualified embalmer. He also studied for the examinations of the National Association of Funeral Directors and he achieved his ambition to be a properly qualified funeral director. 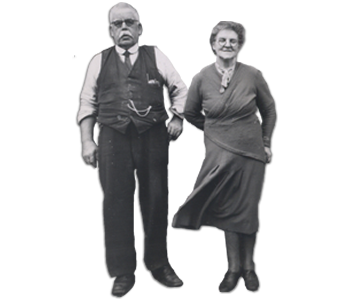 Unfortunately, due to ill health Patrick died at the age of 52, his wife Mary took over the business. As soon as their son Peter left secondary school he went into the business. Peter along with his brothers Michael and Christopher and his wife Bernadette are all qualified members of the British Institute of Embalmers, and Peter and Bernadette are members of the National Association of Funeral Directors. P J Dallat & Sons, Ballycastle was founded in 1891 by Peter Dallat and his brother Neal. 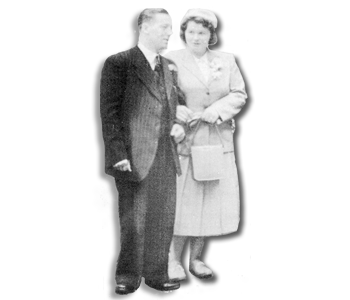 Peter and his wife Sarah ran the funeral business in the founding years. He was a gifted joiner and his skills were known throughout North Antrim, particularly for his Church furniture. At this time the hearse was horse drawn. Patrick took over the funeral business in 1958. He was forward thinking and had a good business vision; he made his own coffins with new woods, became fully qualified, and acquired a Rolls Royce hearse. Patrick died at the early age of 52 leaving a very young family behind. 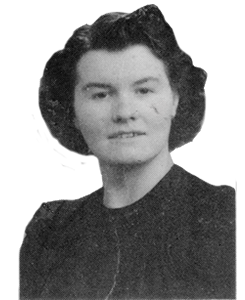 Patrick’s wife Mary, having gained a lot of experience in the business since their marriage in 1949, decided to take over from her late husband. The current managing director Peter after leaving secondary school in 1968 worked with his mother in the business until he took over from her. His brothers Michael, Patrick and Christopher worked in the family business and still help out today. Peter's sons Patrick, Peter and Michael have begun working in the family business and are in training to become funeral directors and embalmers. P J Dallat & Sons has come a long way since 1891 and looks set for a highly successful second century. The thought of organising a funeral is not a pleasant one. We know that the passing of a loved one is never easy, whether expected or not. However, organising the funeral offers the opportunity to bid farewell in a loving and meaningful way. As your funeral directors, we will guide and support you, easing the burden by taking care of all of the necessary arrangements with respect and dignity. We are dedicated professionals trained to understand and cope with your situation and available with our personal services 24 hours a day. At every step of the way we are there to advise, support and where necessary make the arrangements on your behalf. P.J. Dallat & Sons will be on hand to advise you of all your options and choices and seeing that the funeral arrangements are made in accordance with your wishes, and those of the deceased, right down to the smallest of details. We have many years experience dealing with Burials and Cremations, dealing with many different cultures and religions in the process. When a person dies at home, the next of kin or executor and the family doctor should be informed. The doctor who cared for the person during the last illness will complete a free Certificate of the Cause of Death. If cremation is intended, this doctor will complete cremation Form B and will arrange for another doctor to complete the confirmatory Form C after having confirmed the death. These forms are provided free of charge from the administration office for the crematorium. The two doctors will require payment for completing the forms. The death certificate must be taken to the Registrar of Births and Deaths within 28 days. If the death was sudden or due to an accident, or the deceased had not attended the doctor for some time, the Coroner must be informed. The Coroner will decide whether to hold a post-mortem and/or an inquest. As most cases are found to be due to natural causes, inquests are rarely required. The Coroner will then notify the Registrar that the death can be registered. The person registering the death will need to visit the Registrar to do this. The Coroner’s Officer will keep you informed about what to do. As these arrangements may cause delay, we would not arrange the funeral until authorised by the Coroner’s Officer. The Coroner will issue an Order for Burial (white certificate) or for Cremation (yellow certificate) without charge. Full name – including any other names they were known by. Maiden surname – if the deceased is a married woman. Occupation – and the husband’s full name and occupation, if the deceased is a married woman or a widow. You will need to confirm the date and place of death. Other questions will be asked about the date of birth of the surviving spouse, and information about the state pensions and allowances the person was receiving, including war pensions. The NHS insurance number will be requested and the medical card of the deceased should be surrendered to the Registrar, if it is available. If the number is not known, and the medical card unavailable, you can still register the death. The Registrar will advise you over any further certificate copies you require and the cost involved. These will be for obtaining Grant of Probate or Letters of Administration, to show banks, social security or building societies, and to claim insurance. Our aim is to provide a cremation service of a high standard in a dignified, caring and sympathetic manner. We will make all the arrangements and advise you on the local regulations. A service can be held at the crematorium. There is a strict time limit for the length of service. Cremated remains may be kept, buried or scattered. You will need to decide the final resting place for the ashes. We have a large range of urns to choose from. At P J Dallat & Sons we pride ourselves in going the extra mile for our customers at such at difficult time for you. Outlined below are some of the ways in which we ensure that your every need will be met. The P J Dallat & Sons family team. Now in the 4th generation. 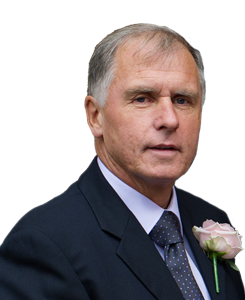 Peter is a forth generation Dallat funeral director, with forty six years experience, conducting funerals since 1968. 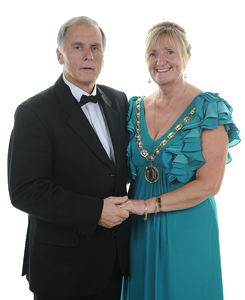 Current Chairperson of the British Institute of Embalmers. Cruise Bereavement Care Counsellor. Contact Bernadette on +44 (0) 28 2076 9000. Patrick currently manages our office and is in training to become a qualified funeral director. Below are some testimonials from families who have written to us after the passing of their loved one to thank us for caring out the funeral in a professional, caring and dignified manner. Many thanks for your help with Mary’s funeral. Appreciation to Fergal and your son Patrick. Thank you for carrying out all of the funeral arrangements for our mother in such a professional and caring manner. Many thanks for your professional service and in particular I would ask you to pass on our appreciation to Fergal for his support – not to mention singing the recessional hymn. I want to thank you, Fergal and Patrick for your work regarding my mother’s funeral. Everything went well, thank God and my sister and brother are content with it all. I am very appreciative of your support and kindness during this difficult time. Thank you all very much for your kindness and compassion during the funeral arrangements for my dad. Everything you did was perfect, and I will remain very grateful. I want to thank you for all your attention during daddy’s funeral. You did him proud and throughout the few days we were confident that he was appropriately handled and respected. The funeral cortège and the organisation of the burial was perfect. That was thanks to you. We are all very grateful for that as it contributed to making the celebration of his life a day to remember and cherish. Thank you. Thank you for the caring way in which you organised and supervised all the funeral arrangements for my mother. Your guidance and services were a great comfort at a very difficult time. This is to thank you on behalf of our family for the way you helped us with my mother’s funeral last week. You made a very difficult time more tolerable – and I feel it was arranged just as she would have wished. Thank you again. This is just a short note to thank you very sincerely for all that you have done for us over the past few days. I know that you will only say that you were doing your job but you have no idea how reassuring it can be to have someone who is so efficient backing one up. Not having had this particular experience before I have learnt a lot in this last week and I have you to thank for it. Very many thanks, from myself and all of the family, for your kindness and courtesy and for the dignified manner in which you conducted the funeral arrangements. Thank you for all of your kindness and first class attendance and grateful thanks during our tragic loss. A big thank you for helping me out yesterday. It was calming for me to have someone with your experience there. Thanks for your support. We would like to thank you so very much for all your help in planning and organising Andrew’s funeral. Your professional yet relaxed manner was of great comfort at such a difficult time. We truly cannot thank you enough. S, S, M & T.
Just a short note to say thank you for dealing with my mother’s funeral. My father is very pleased and would also like to pass on his appreciation. He states when he goes, he knows who will get the job lol. Unless I go first! Thank you very much for the wonderful and professional way you carried out Peter’s funeral in exactly the way I wanted it, for all your care, attention and kindness to all. Life has changed so much, but we will never forget your kindness and patience. Thank you so much for the dignity and care of mammy’s funeral. Many thanks for your care, kindness and understanding. Thank you for the professional and respectful way in which you carried out the funeral of our aunt. Thank you for undertaking the funeral arrangements in respect of our uncle. Please also pass on our appreciation to Fergal in particular for his participation in the choir. Thank you and all the staff of P.J Dallat & Sons for your professional help in arranging my dad’s funeral. I am sure without your care and consideration this would have been more stressful. Myself and all concerned would like to relay our warmest thanks in the caring manner in which my father was laid to rest. I write to you all to express our grateful appreciation and gratitude to yourself, Fergal, Bernadette and all others concerned for the efficient, respectful, dignified and courteous manner in which you carried out the funeral arrangements and burial of my late father. For many years my parents and family have noted and admired the manner in which you have carried out your business. We now have first hand experience of the same and wish to tell you that although this was a very sad and painful time for us, we felt great comfort from your confident and quiet manner. Indeed it seems as though an old friend helped us through it all. It was very special for me. It was a pleasure to have you come into our home to enable us to give daddy the dignified and respectful funeral he richly deserved. Thank you for all your help and arrangements at the time of father’s death. Your help and support throughout this difficult time made father’s passing easier for the family. We appreciate your professional and kind service. Thank you. I thank you from the bottom of my heart for all you have done. On behalf of my family and myself thank you for the professional and compassionate service you provided. Knowing everything was being organised and taken care of was a massive help to us. I just wanted to write and say thank you for making things go so smoothly and paying so much attention to our needs. Thank you so much for all your help and support, it was very much appreciated. Thank you for contact PJ Dallat & Sons, Your message has beensent. PJ Dallat and Sons, Family Funeral Directors. All Rights Reserved.